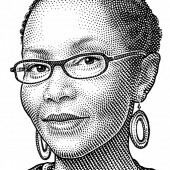 Juliana Rotich is co-founder and executive director of Ushahidi Inc., a nonprofit tech company, born in Africa, which specializes in developing free and open source software for information collection, interactive mapping and data curation. Ushahidi builds tools for democratizing information, increasing transparency and lowering the barriers for individuals to share their stories. Through Crowdmap. com, Swiftly.org and accompanying mobile applications, Ushahidi is expanding its global footprint and making crowdsourcing tools available and useful, and catalyzing entrepreneurial initiatives like iHub in Kenya. Originally from Kenya, Rotich has a computer science degree from the University of Missouri, Kansas City. 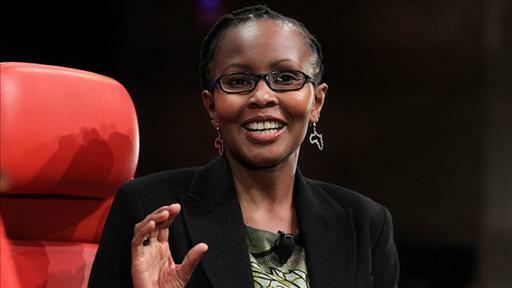 An MIT Fellow and TED Senior Fellow, she currently serves as vice chair of the World Economic Forum Global Agenda Council on Data-Driven Development. For fun, she likes to make USB earrings. Ahead of the DLDwomen conference, AllThingsD’s Ina Fried gets in touch with her roots as a Jewish transgender woman who is big into tech. An Internet-connected world does not mean a homogenous world. Ushahidi, the nonprofit tech company best known for disaster mapping, is branching out into hardware. Don’t miss Bin Lin of Xiaomi, Omar Khan of NQ Mobile and Juliana Rotich of Ushahidi at D: Dive Into Mobile. What a fantastic intellectual jump-start! I’m overflowing with energy and ideas … It was a great thrill to be at the conference.